Schedule your time to Place the orders of Loose Cubic Zirconia and Synthetic Gemstones from China Supplier and Factory. 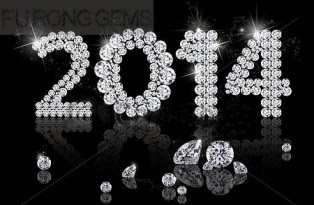 FU RONG GEMS hope you have a most happy and prosperous New Year! As The Chinese Lunar New Year will be came on this Month. Jan 30/31, we’ll have along holidays from Jan 25 –Feb 9th. We suggest you to schedule your time to place the orders with us ASAP so that we can finish it & make the shipment before the holiday. Thank you for your attention! We are a ProfessionalSupplier and the Real Factory which have more than 18 years experience in manufacturing Loose Cubic Zirconia(cz diamond),Loose CZ Stones and lab created gems, hand-cut or machine-cuting Cubic zirconia, CZ Stones Loose and gemstones with quality from AB to A quality, AAA quality and Top AAAAA quality for jewelry making and distribution. 0 Respones to "Schedule your time to Place the orders of Loose Cubic Zirconia and Synthetic Gemstones from China Supplier and Factory."